Here is an amazing deal, tickets to a new Broadway show- for $25! No joke! On Monday, February 14, beginning at 10:00 am, the first 100 people in line can buy tickets at this special price for the new musical WONDERLAND on Broadway! 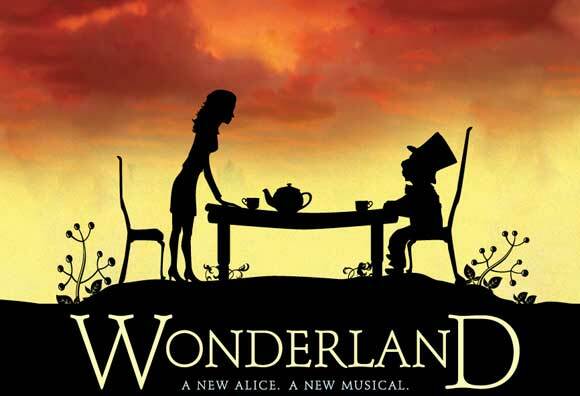 WONDERLAND is an exciting new musical based on the classic tale of Alice in Wonderland, but set in modern day terms, in modern day Manhattan. On her adventure, Alice meets a slew of interesting characters that help her remember what's really important. For more information on the musical, click here. To redeem this Mad Hatter WONDERLAND ticket offer, make it to the Marquis Theatre Box Office beginning at 10 AM, try and be one of the first 100 people in line and get your tickets for $25. There is a limit of four tickets per person, and tickets are for preview performances 3/21 through 4/16. BTW, tickets originally cost $125.